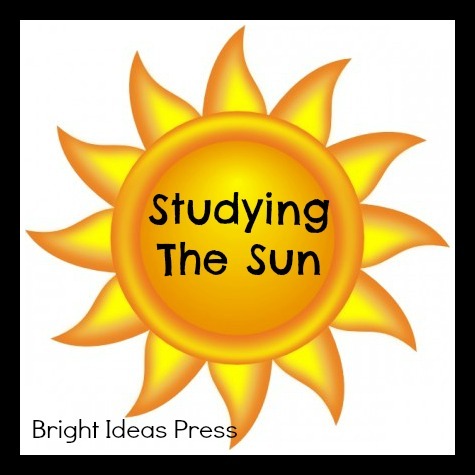 Because my son has recently become amazed by the sun, we have been studying its composition and how it benefits life on earth. The fact that this huge ball of flaming gas is exactly the right temperature and precisely the right distance from earth to benefit life is quite amazing. The sun is our star. Look at the night sky. You can see many distant stars with the naked eye, yet there are millions beyond that. Our sun is just one of the stars in the universe, but it’s the one that all the planets in our solar system revolve around. It’s the star that gives us warmth, energy, and light. The sun is hot. Extremely hot — 27 million degrees at its core. This heat is created by the burning of hydrogen and helium. By the time the incredible heat from the sun travels the 93 million miles to earth, the temperature has decreased and is exactly right to nourish life. The sun has layers. Even though the sun is a ball of gas, it has layers like a solid celestial mass. Wrapped around the core are are the radiation zone, convection zone, photosphere (surface), chromosphere, and solar corona (outer atmosphere of the sun). All of these have distinct temperatures and characteristics. 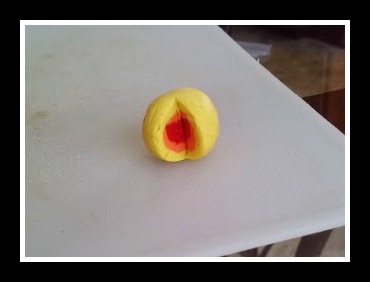 Creating a clay model of the sun is a good way for kids to remember the various layers. Hands-on is always better than just writing or labeling a worksheet. The sun gives energy. Plants require sunlight to create their own food. The sun gives the energy to get the process of photosynthesis going. People are using solar cells to harness that same energy from the sun to power everything from calculators to cars. First, never look directly into the sun. The UV rays of the sun can damage your eyes and cause loss of vision. If you stay in the sun for long enough on a sunny day without sunscreen, you can see the power of the sun. The red, painful sunburn shows how the sun’s rays can affect skin. A less painful way to test the power of the sun is with solar printing paper. Lay an object on the paper and sit the paper in the sun for just a few minutes. Follow the directions on the paper to be sure it develops. You will be able to see how the sun’s rays caused a chemical reaction on the paper. The sun is one part of our amazing solar system. 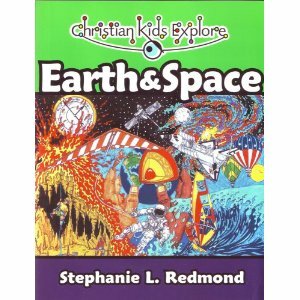 Study it in-depth with Christian Kids Explore Earth and Space, a wonderful, hands-on elementary science curriculum that you and your kids will love. I love the activity with the plants. I know that’s something my girls would love to do. Thanks for the idea!! 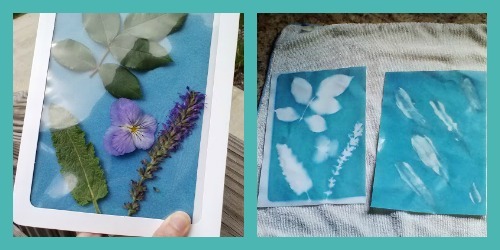 We have tried the solar prints with all kinds of items. Lots of fun!